EDINBURG — One of the nation’s largest STEM conferences kicked off with a huge announcement Sunday for the 16th annual event. Congressmen Henry Cuellar, D-Laredo, Vicente Gonzalez, D-McAllen and the office of Filemon Vela, D-Brownsville, announced that the U.S. Department of Education awarded the University of Texas Rio Grande Valley $21.2 million over the next seven years under the department’s Gaining Early Awareness and Reading for Undergraduate Programs (GEAR UP) program, according to a release from the U.S. House of Representatives. HESTEC — a week-long event better known for its acronym — aims to promote careers in engineering, science and technology for Hispanics. Aptly named the Hispanic Engineering, Science and Technology Week, the conference features a variety of events held across the Rio Grande Valley from Oct. 1-7. 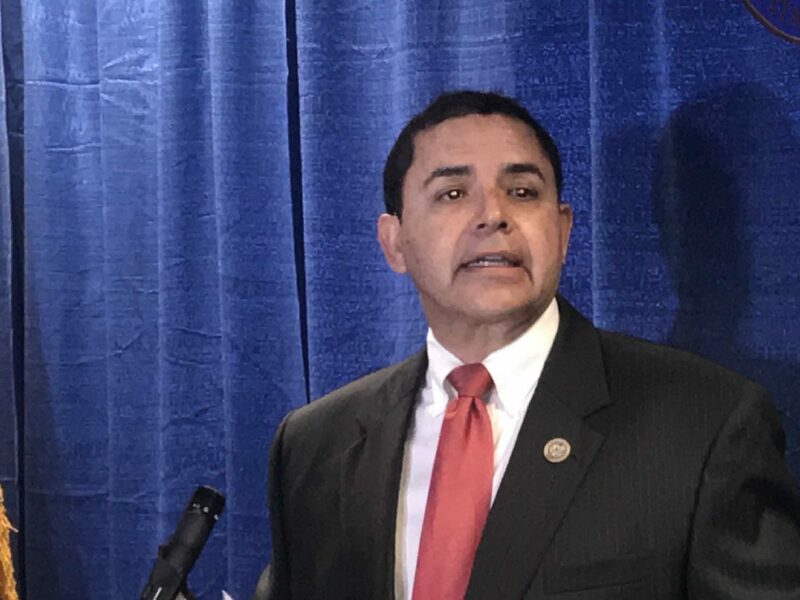 “As a firm believer in higher education, it has been one of my priorities in Congress to make higher education more accessible to all demographics, especially those from at-risk and low-income communities,” Cuellar said regarding the financial award. 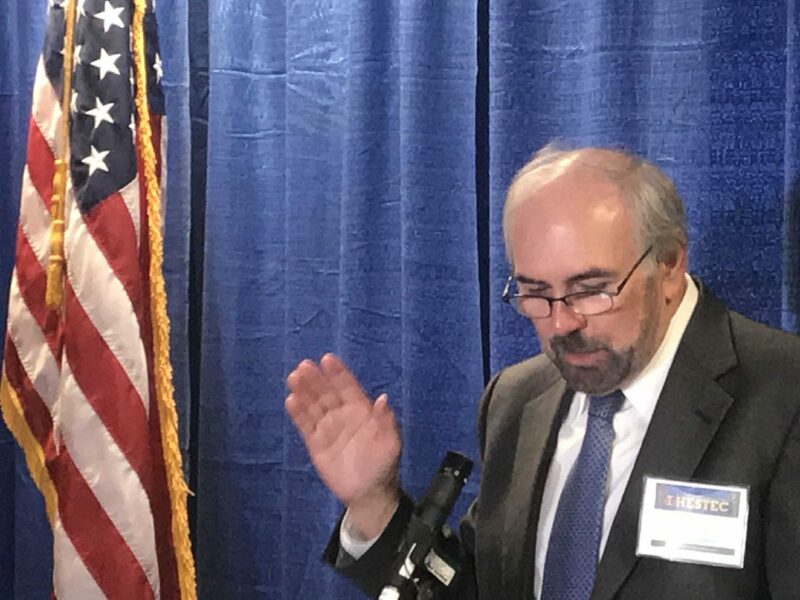 Congressman Vicente Gonzalez, D-McAllen, talks following the announcement that the U.S. Department of Education awarded $21.2 million over the next seven years to UTRGV's GEAR UP program on Sunday during the kick off of the 16th annual Hispanic Engineering, Science and Technology week, which runs through Oct. 7, 2018. 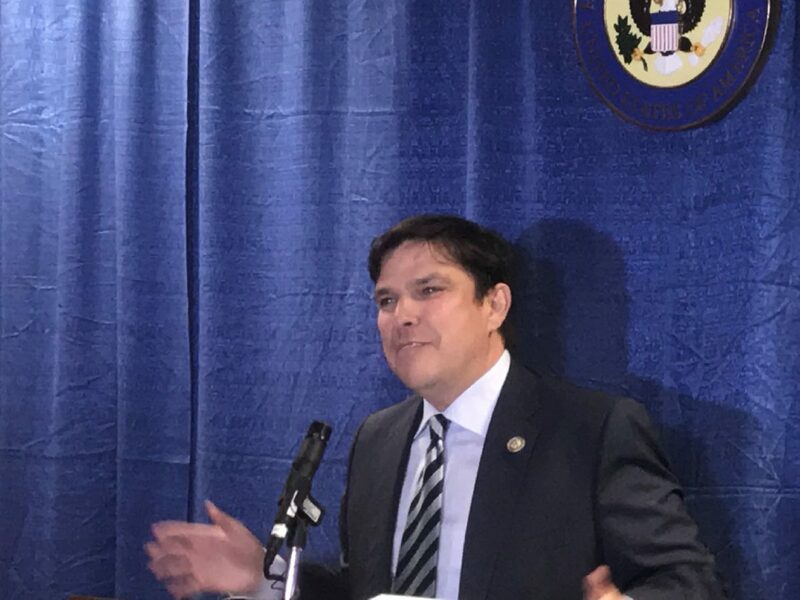 The funding will provide college readiness services and scholarships to students from seven Rio Grande Valley high schools to help alleviate educational challenges faced by low-income students who are preparing to enter into postsecondary education. Vela said it’s critical to give students more opportunities to help them pursue their dreams and goals. Each year, HESTEC draws thousands of students, educators and members of the public to the campuses of the University of Texas Rio Grande Valley, where keynote speakers and robotics competitions intersect. Festivities generally begin with a reception and awards dinner for recipients, advocates and Valley dignitaries. This year, Congressmen Cuellar, Vela and Gonzalez, along with former congressman Ruben Hinojosa, presented Dr. Tina Adkins, a recently retired, longtime educator, with an award that honors champions in the advancement of the STEM fields. Monday, teachers from across the area will converge at the UTRGV campus in Edinburg for Educator Day, where they will hear from Steven Ritz of Green Box Machine. Ritz developed a program that encourages students to grow, eat and love their vegetables, all the while turning it into an educational experience, HESTEC officials. Other planned events include Latina Day, which invites 600 female students and their mothers to hear from a Latina in the STEM fields, Robotics Day, which pits 55 teams of middle school and high school students and their robots against each other, and the U.S. Navy SeaPerch Challenge, where teams of high school students create an aquatic robot that must navigate through an underwater obstacle course. The conference culminates with Community Day, which invites the public to participate in an evening dedicated to STEM. The event features a free concert, interactive educational exhibits, tours, presentations, and hands-on activities from 4 p.m. to 10 p.m. Del Castillo, a Latin rock band based in Austin, will headline the event.